Richard Rosol wants to eliminate the phrase “tattoo regret” from our lexicon. “Tattoos can be more like a piece of jewelry that you don’t like anymore. You don’t regret buying it, you just don’t want to wear it.” Rosol is the owner and medical director of TattooMedics Skin Solutions, a PVD-based office that safely and comfortably removes unwanted tattoos. Laser tattoo removal isn’t Dr. Rosol’s first career. He began his work as a pediatrician, which he explained to me after I apologized for my infant wailing in the background during our interview. “Don’t apologize,” he said. “I miss that.” Because he’s a physician, he has a great deal of flexibility when it comes to pain management during the tattoo removal process. And that’s one of the things people always want to know when considering tattoo removal: Is it going to hurt? “It doesn’t have to,” he said. 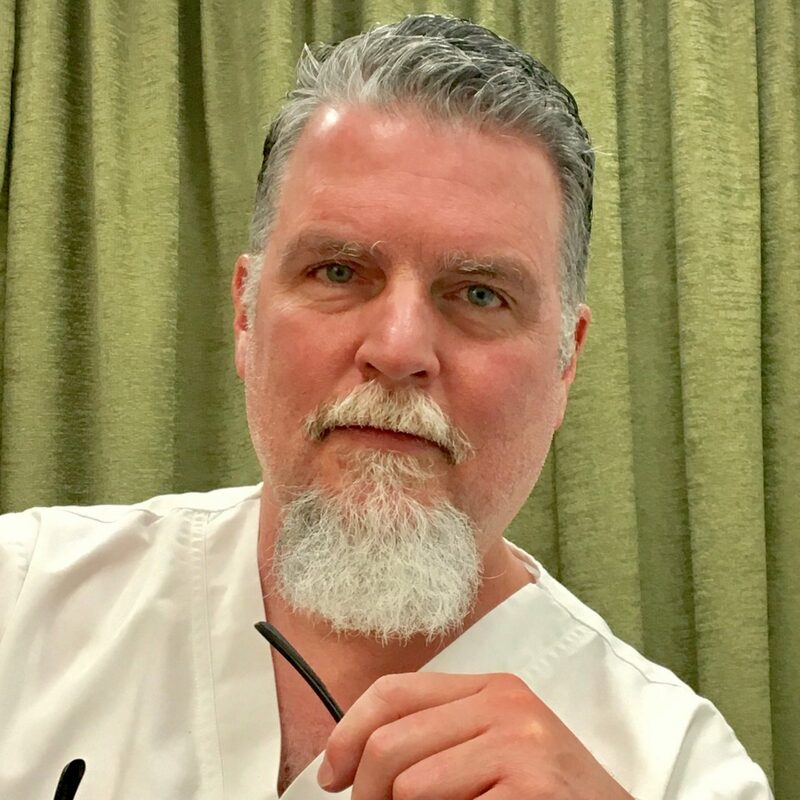 “We use a prescription numbing medication that makes the removal process really quite comfortable.” He knows that the word on the street is that tattoo removal is painful. “The laser we have would be even more painful [without anesthesia] because it shatters ink in the skin very effectively. But a really effective ink shattering is a little explosion in the skin.” Ouch! As in all medical settings, Rosol works on a 0 to 10 pain scale. “We had a patient yesterday who was terrified — they’re all terrified the first time — and she said the pain was literally zero. And people who are not anesthetized will report 15 out of 10 or 20 out of 10. That’s why I don’t do them without anesthetics. You wouldn’t have your appendix removed without anesthesia, even if the surgery only lasted five minutes.” As someone who requires sedation for a hangnail removal, I couldn’t agree more. Dr. Rosol understands that a tattoo is more than skin deep. “An unwanted tattoo can be quite a source of psychic stress for people,” he said. “And that stress is not about the tattoo itself. It’s really the person and their story.” And hearing those stories seems to be one of Rosol’s favorite parts of what he does. Allowing people to talk through their reasons for tattoo removal releases some of that stress and gives them concrete steps to take to move forward. “People feel better from the first consultation,” he said.